After his stint as an actor and screenplay writer, Amin Hajee finally dons the director's hat with Koi Jaane Naa. The psychological thriller, produced by Bhushan Kumar's T-Series, went on floors last weekend and will continue in Panchgani. Talking about his directorial debut, Amin says, Ever since I can remember I have always wanted to direct my own film, right from when I assisted Mazhar Khan on Gang in 1988, which was a life changing experience. But then I began a journey of dancing and acting, a journey I loved, but the best thing that happened to me was when I got signed for Swades by Ashutosh Gowarikar and Aamir Khan Productions. Aamir and Ashutosh have been instrumental throughout my journey in films, in pushing me to a achieve much more than I thought possible, their belief in me has driven me forward. After seeing Swades the creative satisfaction I felt was immense. I realised that directing a movie you have written and envisaged is the Highest of Highs you can feel in the world of films. So I continued to write and joined Vikram Bhatt in writing horror and thrillers which I enjoyed immensely and learned so much about script writing. After the success of Haunted and 1920 Evil Returns I decided to take a break and write my own script. This is when Koi Jaane Naa happened. Talking of how the film happened, Amin adds, It was an idea that spawned from a short story I read. Whoever heard it loved it. I narrated the story to both Aamir and Ashutosh and both of them told me that I should debut as a director with this script. I have waited for six years from getting their approval to finding a producer. But it was worth waiting for. I believe I have the perfect producer in T-Series. They were very excited when they heard the script as I have seven songs in the film. And each song is like a scene that takes the story forward, every song has its own purpose and meaning and this was very exciting for T-Series. I am so excited for this film as T Series and Bhushanji have been so supportive and given me the best possible music I could have ever dreamed of. Fitting every situation perfectly, from yester years hits I to original scores all of which are superb! 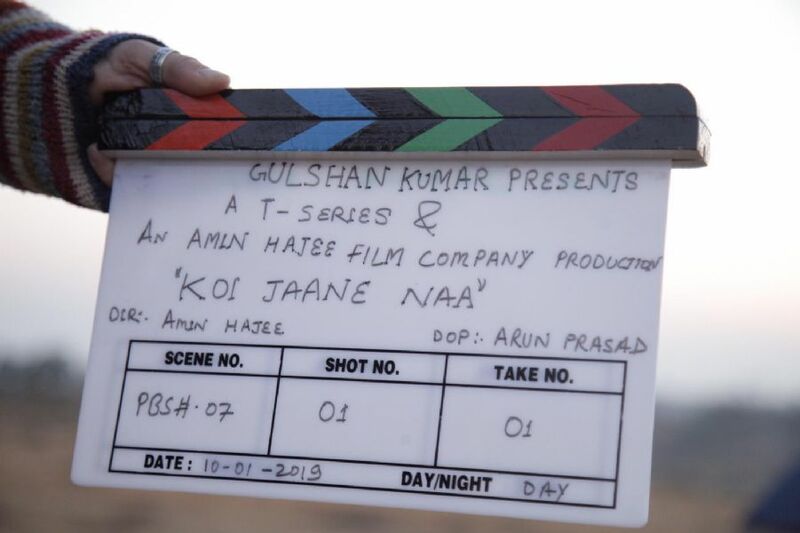 Koi Jaane Naa is a psychological thriller which is going to keep the audiences on edge, it's going to keep them guessing and I hope it's going to be an all round entertainer! The first time director who has already started shooting with the lead cast Kunal Kapoor and Amyra Dastur says Koi Jaane Naa is going to be a roller coaster film, with an excellent supporting cast. The film also stars Aditi Gowitrikar, Raj Zutshi and others. The film will release on 11th October this year.